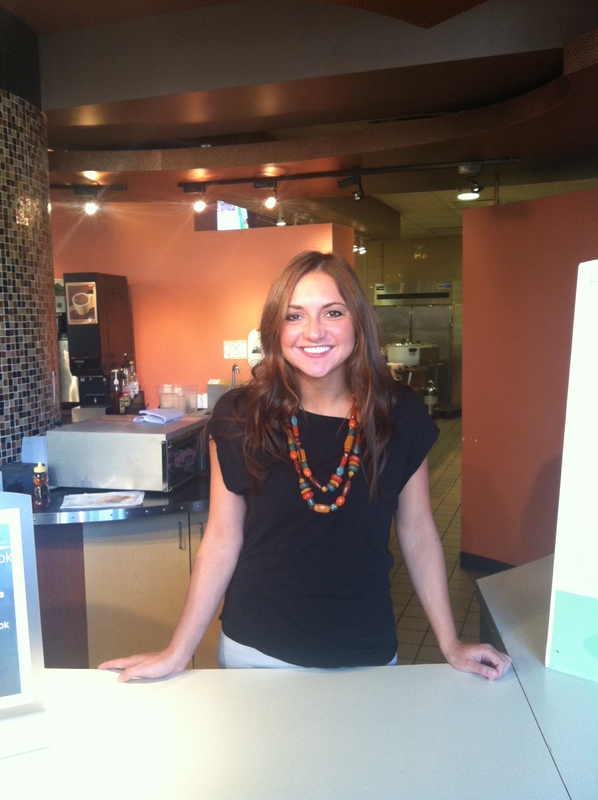 Kerry Cameron is the newest member of the dietitian program on Merrimack’s campus. Not long ago, Kerry graduated from UMASS Amherst in 2012 and does not want students to be shy when they see her on campus. “I am close in age to the students here, I can relate to them when it comes to what they want to see more in the cafe”. Cameron says. Cameron grew up around the saga of being healthy and fit. With her father being into and working at a gym her senior year of high school, Cameron grew a passion for becoming a nutritionist. “For me it’s such a fun career to be in. I enjoy the clinical and community aspect of it.” Cameron worked in a hospital for three months as part of her internship and it was eye opening for her. “There are different things that you can do with nutrition that I enjoyed trying them all during my time”. What Cameron has noticed around campus is how passionate students are when it comes to working out and eating healthy. “I’ve noticed that students care about what they are eating and not having burgers and fries everyday but are trying new healthy options”. Cameron’s main focus right now is students with allergies. “I want to make sure that there is enough food options for the students and they do not feel segregated compared to the others”. For the future Cameron would like to meet with some of the students part of the Health Science program, and help them get on the right path to become a dietitian. Some of the goals for the future Cameron has planned are simple, “I want provide healthier options to students, along with the athlete’s to come to the dining hall and eat well before and after their games”. Kerry Cameron has a little section outside the Warrior’s Den where you can get free flavored water, a healthy snack and be able to talk to Kerry with any questions or concerns you may have. “My main job is for students to feel comfortable to talk to me and also to hear what they want to see in the future”. You can find Kerry Cameron every Monday-Thursday from 11:30-1 p.m located outside of the Warrior’s Den at the Nutrition Nook.